Diabetes is an unfortunately common disease, and the signs and symptoms of the condition often go unnoticed. People do not want to think that they have the disease, and they are able to tell themselves that the problems they are having must simply be something else and that they will likely go away. This is a terrible way to look at things though! Instead of waiting for more serious problems to occur, it is important that you get to a doctor so that he or she will be able to provide you with the help and treatment you need as soon as possible. The sooner you are able to get the disease under control the better your life is going to be. The signs and the symptoms of Type 1 and Type 2 diabetes are very similar. You will likely need to have a doctor perform blood or urine tests to determine which you may have. The similarity of the symptoms may make it easier for you to determine if you have a problem though. If you have a family history of diabetes, or you are overweight or a smoker, then you are at a higher risk of developing the disease. The following are some of the common symptoms that you should watch for, and any or all of these are a sign that you should visit the doctor. Frequent urination is a common indicator. When the body does not have enough insulin, it is unable to deliver the glucose to the cells, and the glucose will not filter properly. The levels of glucose will build up in the body, and the body will use the water it has to dilute this glucose. This means that you are going to urinate far more frequently. This can also lead to great thirst. With the body expelling so much water, you need to replace it. This means that you are going to be far thirstier than usual. While these alone are not conclusive proof that you have diabetes, when you couple them with the other symptoms, it might mean that you do. Weight loss is another symptom, particularly of Type 1 diabetes. The body isn't able to use the glucose for energy, so it needs another source. This other energy is going to come from your muscle cells and your fat cells. Weakness and fatigue can be symptoms of the disease as well. Again, without that energy from the glucose, you are going to be running on your body's stores of fat and muscle. 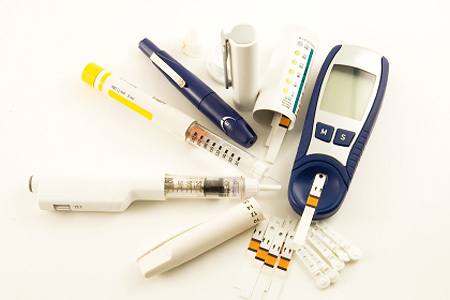 Some of the symptoms commonly associated with Type 2 diabetes include tingling and a numb feeling in the extremities and infections of the bladder, skin and gums. If you think that you might have diabetes, you are going to want to visit your doctor right away. The sooner you catch the problem the better. With the right treatments, diet and exercise, you will be able to live a long and healthy life.